Russian President Vladimir Putin is seeking to reassure gay visitors to the Sochi Games that they are welcome in Russia despite a law banning gay "propaganda" to minors. Russian President Vladimir Putin sought Friday to reassure gay visitors to the Sochi Games that they are welcome in Russia despite a law banning gay "propaganda" to minors. 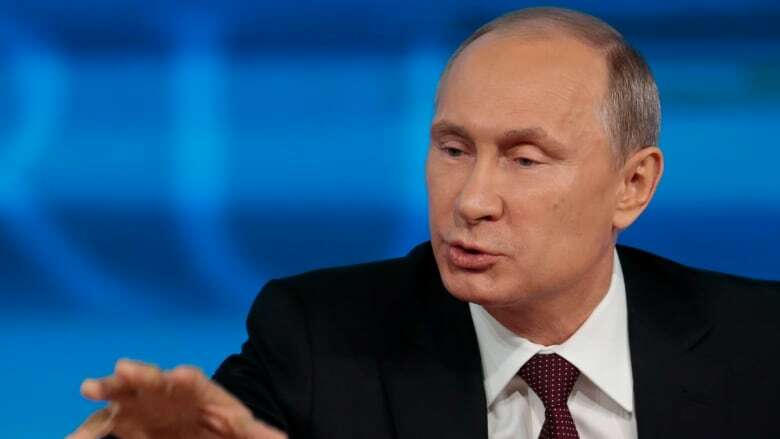 Responding to a question from an Olympics volunteer during a visit in the Black Sea resort city, Putin vowed that gays face no discrimination in Russia and could feel "at ease." But he emphasized that because of the new Russian law, they cannot express their views on gay rights issues to anyone under age. Putin appeared to lump homosexuality and pedophilia together. "We have no ban on nontraditional sexual relations. We have a ban on propaganda of homosexuality and pedophilia, I want to underline that, on propaganda among minors," he said. Putin and other politicians have defended the June propaganda law as a protection of child rights, but critics believe that the law discriminates against sexual minorities. The law specifically refers only to "propaganda of nontraditional sexual relations." "We aren't banning anything, we aren't rounding up anyone, we have no criminal punishment for such relations unlike many other countries," he said. "One can feel relaxed and at ease, but please leave the children in peace." In the wake of the international outcry against the bill, Russian authorities have put limits on the right to protest during the Sochi games, which run Feb. 7-23. A presidential decree initially banned all rallies in Sochi from Jan. 7 to March 21, but Putin later rescinded the ban to allow demonstrations at venues determined by the Interior Ministry.